There’s simply no good textbook for third semester Greek. Yes, there are excellent grammars, intermediate grammars, workbooks, and more. Some of the standards, in my opinion, are David Alan Black’s It’s Still Greek to Me, Daniel Wallace’s Greek Grammar Beyond the Basics, Herbert Bateman’s A Workbook for Intermediate Greek, and several others. Each of these works has its own unique strengths and weaknesses. I own them all. I use them all. I was taught in various Greek courses with them all. And I unequivocally recommend each one of them. I accomplished this task by adapting paragraphs from the Greek New Testament to where we were in the course and what I thought the class could handle. I brought in word study resources to teach my students about what they were, how to use them, and how to do word studies while side-stepping the most blatant fallacies. In other words, I had to bring some of the hermeneutical and exegetical principles in the first and second semester Greek that wasn’t necessary in an academic setting. After all, the students paid to take Greek in an academic setting, they had assigned grades, they had degree requirements. In sum, they had a weight of external motivation that could overcome almost any lacking internal motivation. However, after learning the basics of the grammar and providing insights and incentives along the way, I couldn’t help but wonder what textbook I should use when moving to third semester Greek. I couldn’t rightly ask my students—who were purely internally motivated—to sit down, read, and memorize Wallace’s 30 uses of the genitive. I couldn’t require them to use Bateman’s Workbook. While I dearly love this resource—Bateman himself taught me from it during my Moody days—my church didn’t have access to all the resources needed to effectively use it. In essence, my students would need to have access to a seminary library, or build their own. What resource would I use to teach exegesis, syntax, and vocabulary in a way that inductively walked my students through substantial New Testament passages? Sadly, I never got to make that decision. We moved to Washington to start a job with Faithlife before I had the opportunity to assemble a variety of texts that would accomplish my purposes. However, if I were to teach that class today, I would use Köstenberger, Merkle, and Plummer’s Going Deeper with New Testament Greek. You honestly don’t want to pass up on this resource. The book retails at $49.99, but you can get it on Amazon for $30. And for everything it contains, the book is a steal! Each chapter begins by orienting the reader around the importance of the topics discussed. Why is it important to learn about the syntax of the nominative case? Readers are anecdotally introduced to the Colwell’s rule and its importance to the interpretation of John 1:1. Why are tense and aspect important for understanding New Testament Greek? We’re introduced to one commentator’s faulty belief—on the basis of outdated linguistic arguments—that the present subjunctive indicates that Paul’s thorn in the flesh was a permanent instead of temporary affliction (the aorist subjunctive). The content of the chapter is intimately connected with its significance for interpretation. We cannot overlook the importance of connecting what we’re teaching with why we are teaching it. Sure, some bright students might catch on. But the authors of Going Deeper know we can do better than that, and they do it. After orienting the reader around the significance of the chapter they are studying, the authors provide us with that chapter’s objectives. At no point do we get lost. The authors tell us where we are and where we’re going. When learning the syntax for each usage, we find 3–5 examples (in Greek) accompanied by English translations that have the relevant piece of information bolded. The student doesn’t have to guess at which piece of the example sentence is relevant to the discussion. One of the most valuable sections of the book can be found in the summary of each chapter. There you’ll find a table containing every syntactical usage discussed in the chapter, a brief description/definition, and an example with translation. If I were a student taking a final with this textbook, I’d copy the summary pages, laminate them, and use them for my exam prep cheat sheet. As if this isn’t enough, Going Deeper provides you with exercises, vocabulary lists that take us down to 15 uses in the New Testament, a Greek reader (selected passages from the New Testament), and reading notes on that passage that walk us through the relevant morphological and syntactical details pertaining to that passage, which takes the form of an expanded version of Robert Plummer’s Daily Dose of Greek. Finally, don’t forget to read the footnotes. 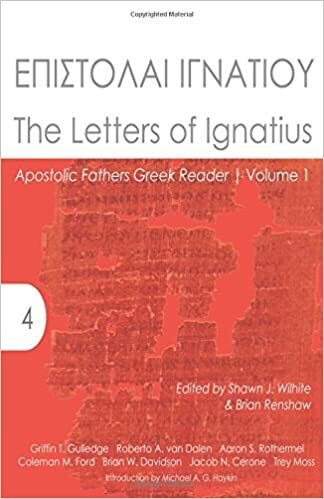 The author’s not only provide relevant details about Greek syntax, they also provide links to free resources to expand your knowledge as well as paid resources like Bible Study Software. It’s abundantly clear that their goal is to teach New Testament Greek and to provide students with every resource they need to learn it. Though the majority of the work is excellent, there are few places where I have some qualms. First, in chapter 12 on “Pronouns, Conjunctions, Adverbs & Particles” we find that γάρ is counted among both coordinating and subordinating conjunctions. On page 413, the authors say that, as a coordinating conjunction, it functions to provide further explanation. On the same page, we find them saying, “The most common Greek subordinating conjunctions employed with indicative verbs (in decreasing frequency) are ὅτι (“that,” “because”); εί (“if”); καθώς (“just as”); ὡς (“as,” “like”); γάρ (“because,” “since”) . . . “(413). However, to my knowledge γάρ is exclusively a coordinating conjunction and does not function as a subordinator. BDF, while acknowledging the causative sense of γάρ—as also Going Deeper—lists it as a Causal Co-Ordinating Conjunction (235). No where does BDF list it as a causal subordinating conjunction (239). Robertson lists γάρ as a paratactic inferential conjunction (1190). In other words, the information introduced does not advance the discourse but adds background information that strengthens or supports what precedes. Black also correlates the use of γάρ with background information, noting a tendency for it to be used with forms of εἰμί and imperfect-tense forms. She states, “Γάρ is used to direct the audience to strengthen a preceding proposition, confirming it as part of the mental representation they construct of the discourse” (Discourse Grammar, 52). My second qualm with the volume as it stands can be found in chapter 13 “Sentences, Diagramming & Discourse Analysis.” Within the section on “Word Order in Sentences,” we get a peek into the debate over word order. Is Koine Greek primarily a Verb Subject Object language or a Subject Verb Object language? Such caveats about individual stylistic differences must be kept in mind even as we tentatively make some observations about regular word order in the GNT. Below is a chart which lists possible emphatic orders (i.e., word orders that deviate from the norm). Context must clarify the purpose of the deviation. Possibly a new topic is being introduced, or a contrast is being drawn. Only the literary context can clarify the author’s purpose in deviating from typical Greek word order. The exegete should also consider the possibility that an ancient author is unconsciously varying his style (449). Unfortunately, there are several things wrong with this statement, the previous discussion, and the subsequent chart. First, the authors of the volume take no firm conclusion on the matter of typical word order. They conclude giving Porter the last word, while noting that variations in an author’s style may affect that particular author’s formulations. But the subsequent chart is largely based on Black’s suggestions for possible emphatic word orders. Black, however, contends for VSO as unmarked Greek word order. So, which is it: VSO, SVO, or some other variation? This is not an insignificant point. It is impossible for the authors of Going Deeper to provide us with a list of emphatic constructions if they do not tell us what the default construction is. Important, the default word order is. While the subject is in front of the verb, the direct object precedes both the subject and the verb. How does this affect the suggested word order? One of the main scholars effectively bridging insights from discourse analysis to non-specialists is Steven Runge, who produced an accessible grammar teaching some principles of discourse analysis. Runge also served as the editor of the Lexham Discourse Greek New Testament and the Lexham High Definition New Testament . . . . These resources mark discourse features in every verse in the NT. While we have little confidence that pastors will ever use terms like “sequential head,” “conjoining head,” and “alternating head,” we do look forward to helpful insights from discourse analysis finding their way into the preaching of the church” (461). The last sentence has absolutely nothing to do with the work Runge has produced. These terms are nowhere found in his literature. I understand that it is intended as a summary for the discussion on discourse analysis at large, but in a paragraph about cohesion, it is ironic that this sentence lacks it with the rest of the content! Despite these critiques, I believe that Going Deeper is a tour de force that will readily be deployed in Greek 3 courses. I know of several professors rewriting their syllabus to incorporate this much needed and welcome work. I, for one, look forward to teaching in the local church and seminary again and using Going Deeper as my go to work. Do I see the beginning of *another* third year greek texk book taking shape? I enjoyed your review I am not finished reading Deeper Greek . I am in the chapter on adjectives but I too wondered about γαρ because if i recall right fienbergs analytical greek Nt considers it subordinating labeling it CS . I had to take an english comp class to when I transferred from a different University prior to Seminary and I already had been in greek since 2006. I tell people I know greek better than english and that’s true . In the English comp class I learned about FANBOYS which are coordinating conjunctions . This made me question how i explain “for” when teaching english inductive bible study. Normally when I phrase a passage I make γαρ́/for subordinate . But now I see how γαρ is functioning at a discouse level thanks s to your review. I also found some theological positions in the grammar that I am not sure I agree with such as the meaning of αδελφος . But since I am in the NLM group I can ask Dr Plummer and others about that . Thank you . Great review here by Jacob on the new Greek Grammer Going Deeper with New Testament Greek. Definitely one for the Pastor’s book shelf! Thanks for your kind review, Jacob. Just a clarification – Porter is arguing that scholars must take into account the many Greek sentences that do not have an explicit Subject, Verb, or Object. (Specifically, drawing on the work of K. J. Dover, Porter hones in on the monolectic nature of Greek verbs.) So, we are not disagreeing with the standard observation of VSO, but we agree with Porter in questioning whether scholars have unconsciously imposed standard English language categories in answering a question about the Greek language. I’ll need to look back at our book and see if we could have worded that more clearly. We can disagree about the classification of γάρ, but Wallace also lists it as functioning both as a coordinating and subordinating conjunction on page 669 of his grammar. Shalom! Thanks for interacting with me here, Rob. On the matter of γάρ as a subordinator and Wallace’s classification thereof, I stand corrected. While I’m not yet convinced that it is a subordinator, as you say, we can agree to disagree. This is something I will be looking into further in my own studies. “If these are the normal patterns in NT Greek word order, clause structure and sentence structure, there are several noteworthy consequences. With regard to word order, the patterns noted above tend to occur with high frequencies. These must be considered the normal or non-descript (‘unmarked’) word-order patterns” (295). “When the subject is expressed, the most common pattern for the Greek of the NT is for the subject to occur first, especially in subject-predicate structure but also in such structures as subject-predicate-complement and subject-complement-predicate. Thus, according to these findings, the frequent analysis of NT Greek clause structure as verb-subject-object is probably inaccurate” (295). I read into your discussion of Porter’s treatment of the verb the conclusions he draws in Idioms, leaving me confused as to your ultimate position on what the default word order. Thanks for this review; looks like a book I need to order! Thanks Jacob. This is indeed an excellent tool for students of Greek. Thanks for the review. I just finished Basics of Biblical Greek. Should I read this book or Dan Wallace’s Beyond the Basics? I own them both. Thanks! Thanks Jacob. I’m glad I asked! I’m working through Going Deeper as well and spent a good portion of my weekend reading and taking notes throughout the text. I, too, appreciate how each chapter is laid out and how the authors include significant portions of the GNT text at the end of each chapter to help the reader improve both their ability to read the GNT and their understanding of how grammar / syntax does affect interpretation.